Very few small business owners have an interest in accounting. But as everyone finds out, understanding the basics of accounting can be the difference between success and failure of your company. 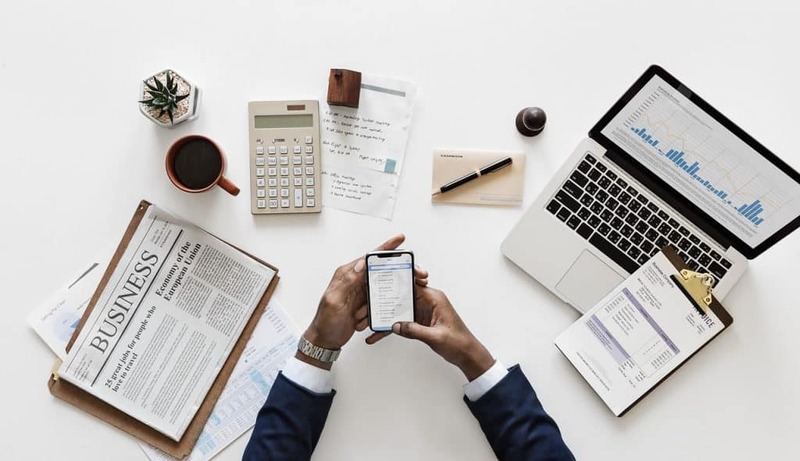 There are three particular financial statements that all small business owners should understand: balance sheets, cash flow statements, and profit and loss statements (P&L). They all seem rather annoying and complex on the surface, but if you break them down one at a time, they’re pretty simple. This post focuses on P&L statements. By the end of this post, you’ll know 99% of all you’ll ever need to know about P&L statements. And you can download our free P&L template. What is a Profit and Loss Statement (P&L)? A P&L statement is a summary of your business’ income and expenses during a given time period. Some P&L statements are very simple to create and understand, as they are just a few lines. It depends on the size of your business, and how complex it is. A small business that only has a few sources of income or expenses will have a short P&L, while a large business with multiple income streams will have a longer one. Finally, what does a “statement” look like? A P&L statement is essentially just a table, usually created in any spreadsheet tool (Excel, Google Sheets, etc.). What is The Purpose of a Profit and Loss Statement? Ultimately, the purpose of a P&L statement is to calculate your net operating profit or loss. If you make a profit, great! You can re-invest it, save it, or make a variety of other decisions. If you end up with a loss, it’s a clear signal that your business is on an unsustainable trajectory, and you’ll need to find a way to turn things around. Can you afford to hire any new employees? Can you afford to move to a bigger office? How will you plan your taxes? Is your current growth strategy effective? The P&L statement can also have additional uses depending on who’s looking at it. For example, investors will look at your P&L statements from multiple time periods to see how profitable your business is over time. They can also glean information from it on the efficiency of your operations, your competitiveness, and the soundness of your business model. Lenders will look at P&L statements to determine whether or not your business is likely to make a profit in the future big enough to pay back loans and interest. One last important note about P&L statements is that they do not represent your business’ financial health by themselves. They may reflect it in some cases, but they can be skewed (or misleading) by billing practices or fraudulent reporting of transactions (whether intentional or not). That’s why it’s important to understand all three major financial statements that I mentioned at the beginning. There’s no single “correct” template for a profit and loss statement. However, there are five line items that are generally included. Let’s go through them one at a time. All P&L statements start with a summary of revenue from sales that occurred during the given time period. Usually, this is detailed in a separate table and the sum total is imported into the P&L statement. Direct costs (also referred to as the cost of goods sold) refers to costs that can be exclusively attributed to the production or sale of a product or service. This includes the costs of materials used in manufacturing a product and any labor directly involved in that process. If you don’t manufacture the product that you sell, your direct costs would include the cost of purchasing it from your supplier. Direct costs exclude all other labor and indirect expenses, such as marketing, accounting, internet service, training, rent, and insurance. You can subtract direct costs from revenue to determine your gross profit. The gross margin is usually depicted as a percentage. Example: You purchased 100 bicycles from a supplier at a cost of $100 each: you incurred direct costs of $10,000. You sold them for $395 a piece, yielding revenue of $39,500. Your gross profit would be $29,500. Your gross margin percentage would be 75%. The gross margin is a key indicator of the financial health of your business and the soundness of your business model. The higher the percentage, the better. Potential investors will quickly hone in on this number. This number also conveys information about how competitive your business is or can be in the near future. The final potentially tricky section consists of expenses (sometimes referred to as “indirect expenses”). This is money spent on the general maintenance of your business. Note that depreciation most commonly is an indirect expense, but depending upon the context, it may be a direct cost. There are many other indirect expenses that may be included, but it will vary widely for each individual business. Finally, you calculate the net income, by subtracting your indirect expenses from your gross profit. This is your net profit — or loss — and the famed “bottom line” of the P&L statement. You use this to determine if your business is profitable or not, and by how much. 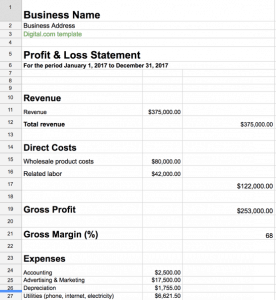 Here’s a working profit and loss template complete with gross margin calculation built-in. Simply add your own numbers to the spreadsheet. That’s really all there is to it, to wrap up let’s take a look at some basic examples. The cost of goods sold was subtracted from the revenue to give a gross profit of $400,000. The indirect expenses were then subtracted from the gross profit to reveal a net income (or profit) of $100,000. Most small businesses are a bit more complex than that. I’ve used the same set of hypothetical data from the simple example to make it easy to see how they line up. Those five main totals are all bolded, but the income, cost of goods sold, and expenses are all broken down into multiple line items. 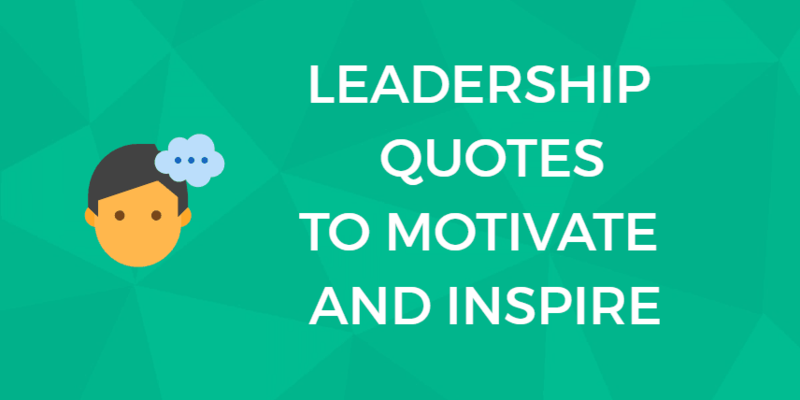 You will likely see “less” appear if you look up any other examples. You can prepend “less” to items that are subtracted from the initial value in a section for clarity sake. Believe it or not, that’s really all there is to P&L statements. But even though you understand the core concepts, you may have a few specific questions still. I have answered the most common questions about P&L statements below. Where are salaries and wages included? Salaries and wages are the most confusing part of P&L statements. Salaries of people in administrative roles are not directly related to revenue, so they are included as fixed expenses. It can get tricky when it comes to manufacturing roles. The labor used to directly make a product is included in the cost of goods sold section. However, it’s not as simple as tallying up any manufacturing employee’s hours (and wages over them) here, unless you sell every product they made during that time. Most likely, you’ll have some leftover inventory, and the labor that went into the unsold inventory is not included in the cost of goods sold section. And yet, they are not a fixed expense either, so the labor that went into unsold goods is not included at all in your current P&L statement. Instead, you’ll include it under the cost of goods sold when that inventory is actually sold, and for now, it’ll be tracked on your balance sheet. 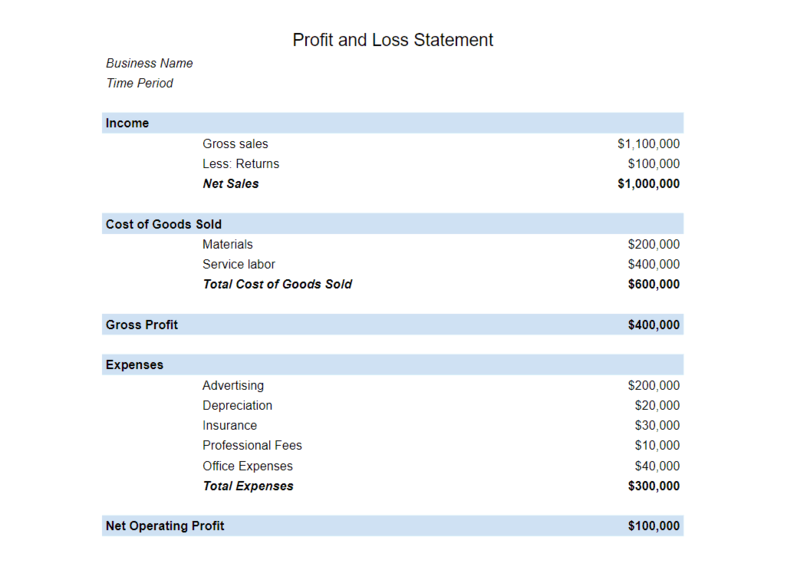 What is the difference between a profit and loss vs income statement? There is no difference between these terms. They all refer to the exact same report we’ve looked at in this article. What is the difference between profit and loss and a balance sheet? 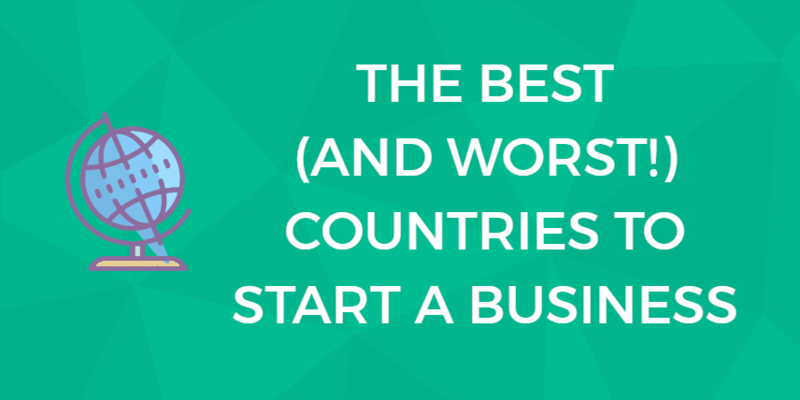 A profit and loss looks at whether or not your business is fundamentally profitable. But a balance sheet is another important financial report. In short, the purpose of a balance sheet is to record a business’ assets, liabilities, and shareholders’ equity. Combining the balance sheet with the P&L statement gives you a good overall snapshot of a company’s financial health. 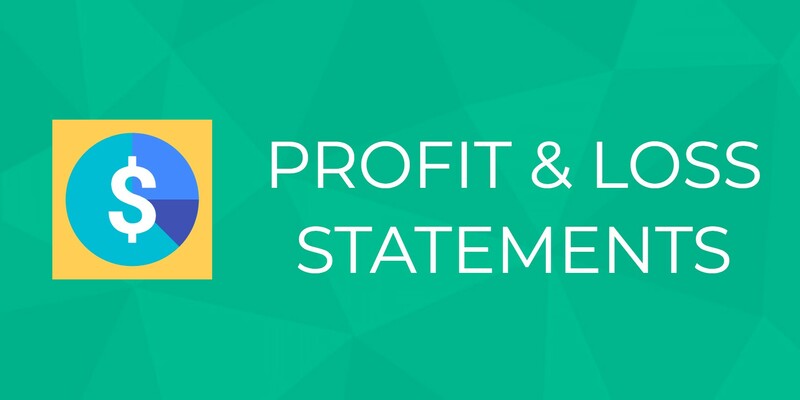 What is a year-to-date profit and loss statement? Since all P&L statements have to be over a certain time period, a “year-to-date” profit and loss statement is simply done over the current year, up to the time of the statement. It’s often required when filing taxes. What’s the best time period to create P&L statements over? As noted before, different people (you, investors, lenders) have different uses for your P&L statement. As a business owner, you don’t necessarily need to create a P&L statement every month (but you can). What’s most important is that you’re checking if you’re on target to reach profitability at least once a month. Since your indirect expenses are fixed, and cost of goods sold is variable based on how much you sell, you can work backward to determine how much you need to sell to be profitable in a given period. This is also known as break-even analysis. Should you include interest paid on an annual basis in a monthly P&L? Many loans have interest rates on an annual basis, but you’ll break down the amount of interest paid to add it to a monthly P&L. For example, if you have a $100,000 loan at an annual interest rate of 12%, you’ll pay $12,000 of interest over the course of the year. Therefore, you’ll add $1,000 to a monthly P&L. Where do you include large purchases or inventory on your P&L? Inventory is tracked on your balance sheet as an asset, but is not included in your P&L. What may be included on your P&L is any depreciation on inventory or large purchases, which, depending upon context, may be included in your indirect expenses section or your direct costs section. If all that makes sense, you know just about everything you’ll ever need to know about profit and loss statements for small businesses. If you’d like to take your accounting basics further, learn how balance sheets and cash flow statements work.